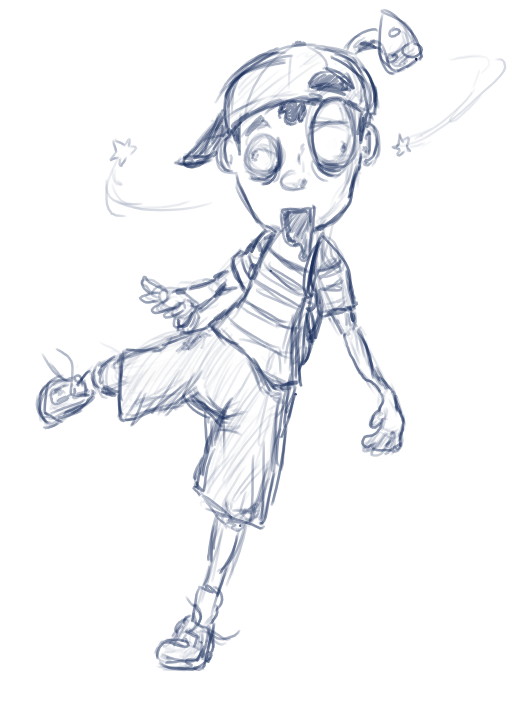 Ness, staggering along with a mushroom on his head. I think I'd intended to do more with this, but since it's been sitting around on my harddrive for two years, I figured maybe it's time to just submit it. At any rate, I really like this one. Having a bit of a rough time there with the arm, but still hungry. Hands down, that has to be THE worst title for a piece of EB fanart ever. One of the Tessie watchers spying the Loch Tess Monster. Had done this a while back for a project. But since I won't be using this graphic anymore, here it is.